Being a blogger your head must ring with instructions to treat the content you produce as a royal persona – a king, to be precise. At the same time, you are likely to be taught that no book should be judged by its cover for a long time now. So, if the content you produce is supposed to be treated as a royal highness, what’s the role of blog post titles as gateways to this “kingdom”? The answer is simple: you can forget treating your post titles as book covers, but rather an extension of the content below them and its foremost “ambassador” you present to the audience. However, making a catchy, informative and compact enough title is no easy feat, particularly if you are focused on creating stellar content at the same time. 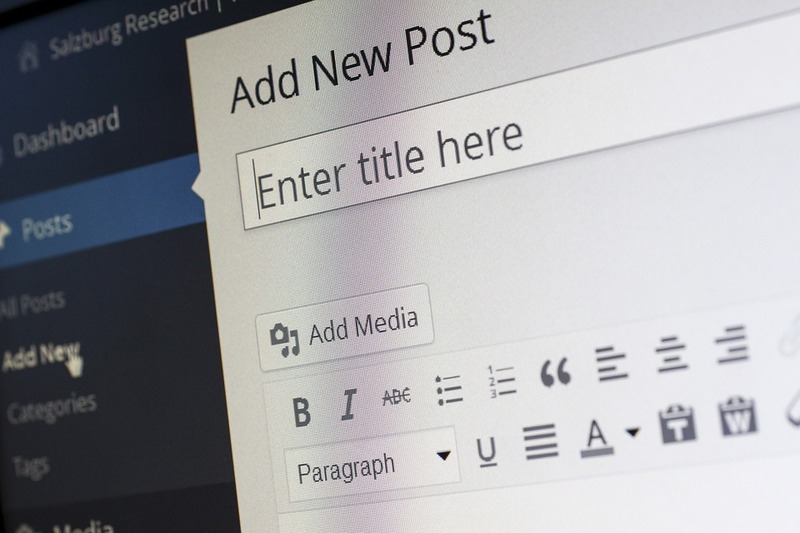 This is why you need to set aside five minutes to learn about great blog post title generators that can help you come up with irresistible hooks for the content you offer. Just as content, having great titles of your posts does matter if you are to treat them as an indispensable segment of the whole content package. Bear in mind that your headlines will receive more attention than the content below them, with 8 out of 10 visitors reading them, as opposed to only 2 of them from the same group who will be drawn to whatever else your offer on your website. At the same time, there are verifiable claims about the power of headlines to increase the content’s reach by up to 500%! Still, it’s not easy to keep your focus on coming up with a quality post title when you are preoccupied with the content generation. This is why blog post title generating tools have emerged as platforms that use subjects or keywords you provide to automatically come up with suggestions for “magnetic” headlines that can boost conversions, improve your SEO and increase your reader’s engagement. HubSpot’s Blog Topic Generator promises to give you a helping hand in case you feel that you’ve hit the wall in the creative sense. It is easy for use, as you only need to enter the keyword which will serve as the basis for generating a catchy title you want to come up with. After hitting the appropriate button, the generator will provide you several title suggestions for your blog posts. As a bonus, this tool will help you not only with blog title generation but with coming up with ideas for your blog posts. SEOPressor began its existence as the WordPress plugin and turned into a full-blown free blog title generator. Its algorithms focus on providing you with eye-catching and memorable titles for your posts. Like other tools of this type, it’s accessibility is highly user-friendly. You simply need to pick up a keyword and determine its type. This tool will provide you with several options that you can ultimately narrow down to the one that fits best with the topic of your post. Title Generator offered by TweakYourBiz does not shy away from providing you with a huge number of options for your post title! At the same time, you’ll need to apply some degree of common sense to pick out the best title for you. Still, the tool offers to help you with this as its title generation engine allows you to select the best one with the help of various generation categories. The authors promise to increase your visitor traffic by 50%. The Awesome Title Generator’s function is rather self-explanatory. So, yes, you can use it to come up with various types of titles that can be used not just for your blog posts. Its results can be applied to your landing page, email subject headlines and titles of videos as well! Since the platform provides you with a vast range of proposals, you’ll still need to apply your selection skill to pick the most attractive option. Just focus on grabbing the attention of your readers and try to think if you would click on such title in the first place. Blog Title Generator offered by BlogAbout is a popular title generator tool. It prides itself on attractive visual design and accessibility. It is primarily used by bloggers (and other content creators) who want to make their content more inviting for interaction through catchy titles that adorn them. Once you select the best option for your headline, you can easily save it for future use. In addition to titles, Content Idea Generator is designed to provide you with ideas you can use as the basis for your blog posts. Upon hitting “enter” on the screen, you will be provided with various titles whose use goes beyond blog posts – you can save them for the title of your PowerPoint presentation just as easily. If you are not happy with the provided options, you can simply refresh the page and start all over again. You are also free to use the suggestions provided by this tool just as the basis for the titles which you can subsequently tweak and change to make them most suitable for a specific post. Inbound Now’s Blog Title Generator is simple to use, and it promises to assist you with the generation of blog post titles based on the keywords you enter. In addition to this, it offers the “Need More Inspiration” option which provides you with a list of articles that have been published on Ezinearticles. This title generator is slightly different from others, in the sense that it is used for getting suggestions for blog post titles that are focused on making your post go viral via social media. Therefore, it’s most suitable for the occasions in which you are primarily looking to improve your social media presence by creating posts which resemble those seen on the UpWorthy website.